Welcome! Come and have a fabulous stay in our APT! Fantastic self contained APT, 90m2. 2 x bed, 2 x bath, living room, private patio garden, fully equipped, parks & Thames, 5 mins. Easy for central London & Heathrow. Fully equipped for self-catering stay. Enjoy comfy, clean & safe APT. • Living table, chairs and built in alcove seating. •Fire blanket, exit & first aid kit. The dimensions are, inside – 950sq feet (90m2) & back garden – 10sq feet (2m2). The apartment is maintained by our delightful Housekeeper & Co-ordinator extraordinaire, who prepares it immediately after the guests check out and it’s therefore available 24/7. I use a key safe system for storing the apartment keys, which means you have no hassle access regardless of your time of arrival. We are available 24/7 if you have any urgent needs, which you must address immediately. 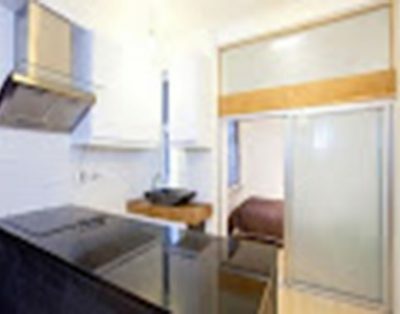 I provide full mobile, email & What’s App contact details for Maddy and I once you have booked the apartment. Guests are provided with ‘Andrew’s local guide to Fulham’ 2 weeks before they arrive. This explains how to reach the apartment by planes, trains and automobiles as well as many local places you can visit, eat, drink or go to during your visit. The apartment located in Waldemar Avenue, is on the ground floor and was fully refurbished in 2015. Access is through the front door from the Avenue into the main building and then through the apartment main door, which faces you as you enter. There is one low step from street level to the main front door, which leads you to the apartment. So those arriving with prams, wheelchairs or heavy luggage will have straightforward and easy access into the apartment. Once inside access to all room is on ground level, so it is straightforward for people with mobility issues to move around. There is one low step down from the kitchen into the garden. Access to the apartment is obtained through a set of keys, which are stored in a key safe and easily accessible for guests. Details for these are provided once the booking is confirmed and approximately 2 weeks in advance of your visit. During your stay do contact us at any time by text message or phone if you have any questions. On the morning of check out please let yourselves out and leave the keys in the safe. Maddy will arrive on or around 11h00 to undertake our check-out requirements. We’ll contact if we have any concerns or find any personnel items belonging to you. Please have a safe onward journey. The apartment is located in Fulham SW6 and it’s within walking distance of many of London’s sights, from the River Thames to Fulham Road to London’s luxurious Kings Road to Chelsea Wharf to Kew Gardens to Kensington Palace, Hyde Park to Battersea Park & Power Station. The Albert Hall, Buckingham Palace, Westminster Cathedral, London Eye, West End, London’s theatre land and the City of London are but 20-25 minutes by tube. There are lots of shops in Fulham and the best grocery stores nearby are Sainsbury’s, Tesco’s, (5 minute walk) Fulham Road or Marks & Spencer, Putney High Street. Fulham Road, Fulham Broadway, Hammersmith Riverside & Putney High Street have a veritable feast of international & ethnic restaurants, pubs and cafes. For those looking for late nightlife there are a number of clubs on High Street Kensington & the King’s Road if you’d rather not travel to the West End. For those who enjoy walking there is a fantastic walk along the Thames River from Putney Bridge to Hammersmith Bridge and back again, which passes by Harrods Depository, London Wetland Nature Reserve Bishops Park & the Riverside Studios. For the Premier League loving football fans the apartment is located approximately 20 minutes from Chelsea FC & 10 minutes Fulham FC but far enough away that you are not troubled by the noise or the marching army of fans making their way to and from the grounds. The apartment is located on a secluded road in SW6 London, noise is low and there is plenty of street parking (meter payments) directly outside for those wishing to arrive by and use their car during their stay. There is parking, in the streets directly outside the apartment. This is chargeable at £2.20 per hour Monday – Friday 09h00-17h00. Outside of these times there is no charge for parking. Closest tubes are Parsons Green and Putney Bridge – 8 minutes’ walk. The closets airport is Heathrow or if you are driving come in on M25, turn eastbound onto M4 and come straight into Talgarth & North End Road junction down to Fulham Road, turn left. Waldemar Avenue is about a 1 mile or 1.6kms away on the right hand side. Cancellation: Cancel up to 07 day in advance.